Jordy Nelson left the Green Bay Packers Sunday Night Football game against the Atlanta Falcons with an injury after the Packers first drive. The Green Bay Packers have put together one of the better offensive units in the NFL, but they may be without Jordy Nelson after he injured himself Sunday night. During the Packers first drive of the game, Nelson came up limp, and he is currently questionable to return with a quad injury. Nelson has battled through injuries during his entire career, so anytime he goes down is going to be cause for concern. For Nelson, he is coming off a bounce back season in 2016, after missing the 2015 season with a torn ACL. Last season, the Packers were left for dead at 4-6, only to win the rest of their games, and win the NFC North on the final week of the season. They also made a solid run in the playoffs, losing to the Atlanta Falcons in the NFC Championship Game. On Sunday night, the Packers returned to the scene of the crime, as the Falcons opened up their brand new Mercedes-Benz Stadium. 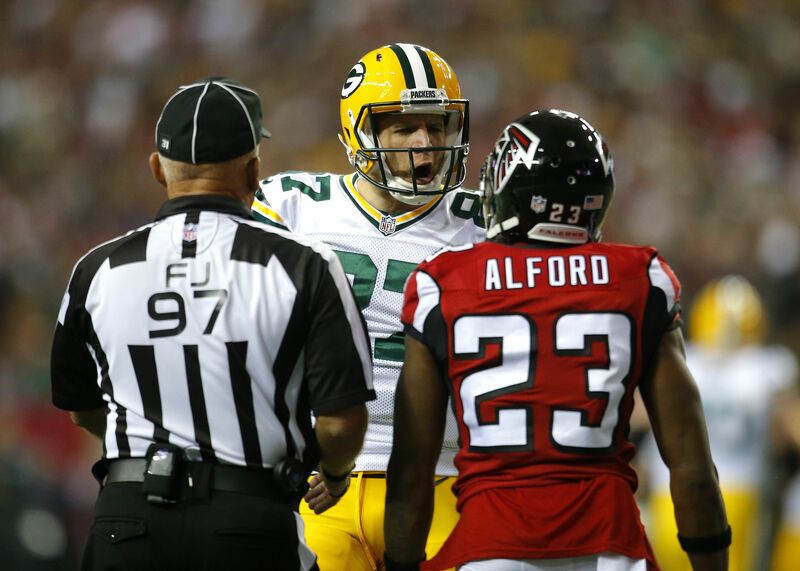 Atlanta got off to a fast start against the Packers, as Devonta Freeman ran one in to give the team a 7-0 lead. The Packers countered with a Ty Montgomery score of their own, but Freeman found the end zone again to go up 14-7. In Week 1, Nelson had a decent game against the Seattle Seahawks, catching seven balls for 79 yards and a touchdown. He is one of a handful of solid options in the passing game for Green Bay, but he is by far quarterback Aaron Rodgers’ favorite. If you have Nelson on your fantasy team, tread lightly, as any little injury could wind up limiting him for the next couple of weeks.